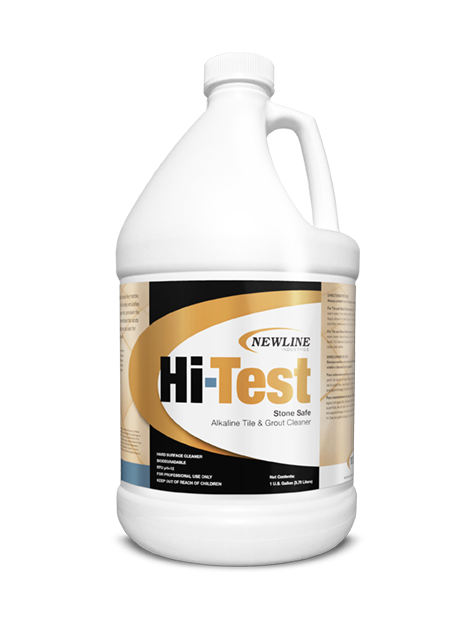 HI-Test is an alkaline tile and grout cleaner that is also a superior natural stone cleaner. 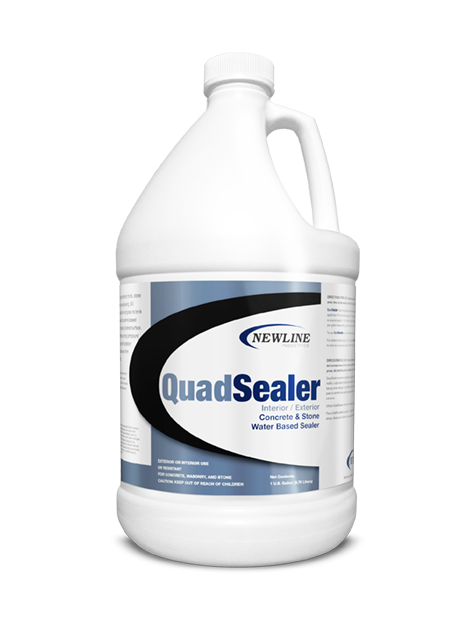 It is safe on acid sensitive surfaces such as marble, tile, stone, grout, travertine, terrazzo, and more. It may be used for complete restoration or daily maintenance. 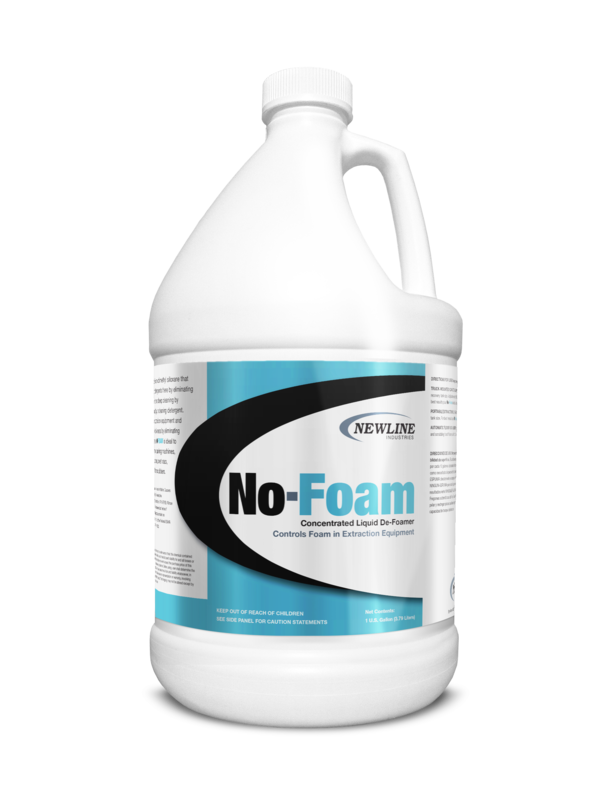 It is biodegradable, low foaming and extremely free rinsing. 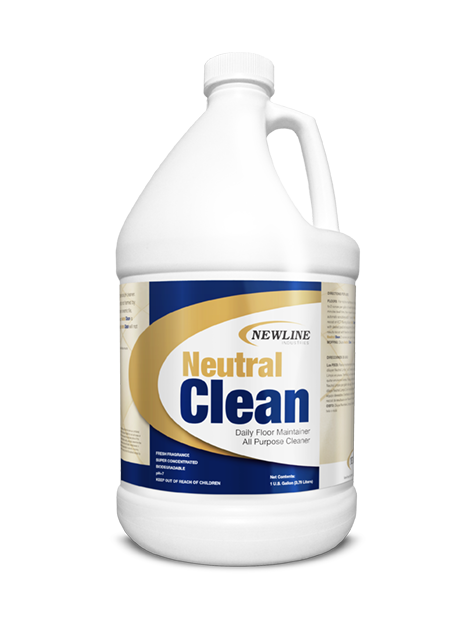 This is our #1 selling natural stone and Tile cleaning solution by Newline. X-pHactor is the next generation of powdered Tile and Grout restorative cleaners. It’s breakthrough formula contains proprietary builders. New surfactant technology and derived from Eco-Friendly sources. X-pHactors Alkaline oxidizers help brighten and whiten dirty grout lines. 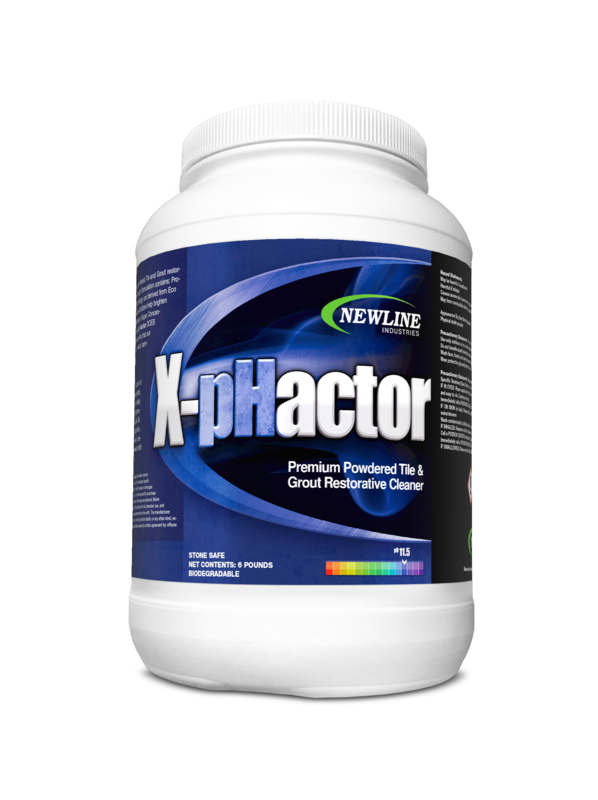 X-pHactor is super concentrated to save you time and money. 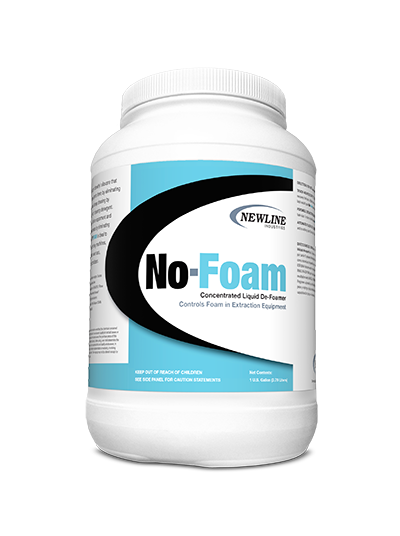 This product does not contain any harmful NTA’s and solvents like most competing powdered tile and grout products contain. X-pHactor cleans without harming the tile or your reputation! HOMERUN is a revolutionary product for ceramic tile and grout. It contains safe, low pH cleaning agents that will allow replacement of the acids you are currently using. HOMERUN can be used on porcelain, ceramic tile, grout, concrete, plastic and many other surfaces that acids destroy. HOMERUN will also remove soap scum, hard water deposits and effloresence on porcelain, ceramic and quarry tile. Clear Seal is a water-based sealer designed for grout, porous tile, concrete, natural stone, brick and many other porous masonry surfaces. 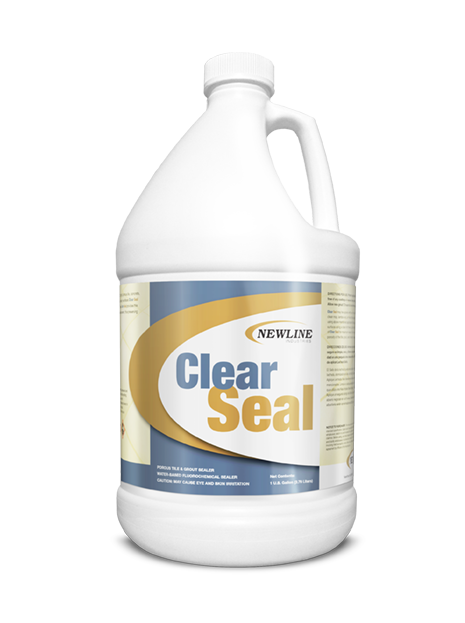 Clear Seal protects against both water and oil based stains. Clear Seal provides this amazing protection without a leaving a gloss or color enhancement thus preserving the natural look! Depending on porosity of the tile, grout and masonry coverage will be approximately 1,000 square feet per gallon.